Science has no prejudices — though scientists often do. 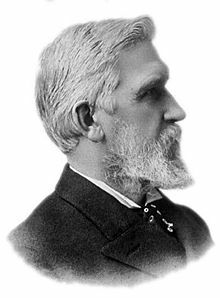 Elisha Gray (2 August 1835 – 21 January 1901) was an American electrical engineer who co-founded the Western Electric Manufacturing Company. Gray is best known for his development of a telephone prototype in 1876 in Highland Park, Illinois. He is considered by some to be the true inventor of the variable resistance telephone, despite losing out to Alexander Graham Bell for the telephone patent. Others consider him the independent inventor ot the telephone, along with Bell. Gray is also considered to be the father of the modern music synthesizer, and was granted over 70 patents for his inventions. Three volumes: Familiar Talks on Science (Vol I. ); Energy and Vibration (Vol II. ); Electricity and Magnetism (Vol. III). A word about the title--"Nature's Miracles." Some may claim that it is unscientific to speak of the operations of nature as "miracles." But the point of the title lies in the paradox of finding so many wonderful things--as wonderful as any miracle that was ever recorded--subservient to the rule of law. "But," you say, "a miracle does not come under any rule of law." Ah! are you sure of that? It is true that we may not understand the law that the so-called miracle comes under, but the Author of all natural law does. The sponge, whether considered as a single or compound animal, has the power to reproduce itself, and here the mystery of life is as much hidden as it is in God's highest creation. It has been stated that every sponge contains a large number of separate cells which carry on the operation of circulation and respiration, and may be likened to the heart and lungs of an animal of a higher creation. Zoologists claim that each one of these cells represents a separate animal, living in a common structure. Those who believe that the laws of nature are the creations of a beneficent and all-wise Intelligence will see in this exception to the general law in the case of freezing water a striking evidence of design. But those who have no such belief will say it is a most fortunate though fortuitous circumstance (a saying they will have to make, regarding thousands of other things in nature), and go on floundering in the interminable sea of "I don't know." It is the province of the scientist to reveal the facts of nature as they now exist, and leave the rest to the speculation of the philosopher and the theologian. The growth of vegetation made it possible for animal and insect life to exist, and the earth teemed with both; first of an inferior kind, but later, as the conditions for a higher order of life were right, the higher order came with the improved conditions. In this way was the earth through countless ages of time prepared for man — God's highest creation. Science has no prejudices — though scientists often do. Science is like figures: they do not lie themselves, but the men who figure are often the greatest liars in the world. The world is now rapidly advancing in light, in knowledge, in power to use the infinite gifts that the Creator has hidden in nature; but hidden only to stimulate and reward our seeking. Every man can help in this grand progress,--if not by research and positive thought-power, at least by grateful acceptance and realization of what is gained. Look forward! What shall we say of the Intelligence that plans all this? Can the Creator be less than the creature? Shall we not say that Intelligence is indestructible, and its measure is its Power to adapt means to ends? Intelligence, Matter, Energy — nature's trinity in her manifestations. This page was last edited on 22 September 2015, at 18:56.